A gnes Inglis never planned on a career as a librarian. At the age of 52 in 1924, and following a period of intense work on behalf of radical immigrants facing persecution and deportation after World War I, Inglis visited the University of Michigan library to consult the collection of books, journals, papers, clippings, and ephemera donated by her friend Joseph Labadie in 1911. "Jo" Labadie(1) was a labor leader, social reformer and individualist anarchist who accumulated a large number of materials documenting the multitude of events and movements he had participated in over a forty-year career. Inglis found Labadie's original collection in the same condition in which it had been donated: "in fine shape…though still unbound." (Inglis 1924) She decided to spend a short period of time volunteering in the library unpacking and sorting materials. That short time turned into 28 years of distinguished and mostly unpaid service, during which she not only organized the large collection, but increased it by an estimated twenty times its original size, and raised it to the status it enjoys today among libraries documenting the history and philosophy of anarchism and other radical social and political movements. Inglis's life as an anarchist and a librarian provides an excellent case of the intersection between political ideals and librarianship. Born the youngest child of a well-to-do Detroit family in 1872, Agnes spent most of her first three decades in a sheltered, conservative, religious family home. Her father, a noted physician, died when she was four years old. Other than a year at an exclusive girls' academy in Massachusetts, Inglis spent her youth nursing a sister ill with cancer, and subsequently her mother who died before Agnes turned thirty. With no more family obligations and a substantial income, Agnes left home to travel and attend the University of Michigan where she studied history and literature. Inglis left school before attaining a degree and spent several years as a social worker at Chicago's Hull House, the Franklin Street Settlement House in Detroit, and the Ann Arbor YWCA. While working in these settings, she gained intimate knowledge of the unfair working and living conditions suffered by working class immigrant women and men. She also grew skeptical of the effectiveness of liberal policies and programs designed to transform the lives of working people and subsequently began to question the social, economic, and political conditions in the United States. At the same time, Inglis continued her abbreviated education informally. She read widely and was especially attracted to and persuaded by revolutionary writers. 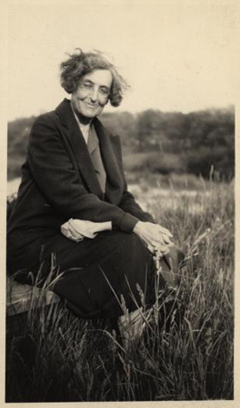 She attended many lectures in Ann Arbor and Detroit given by a variety of social critics, many of them anarchists. She met Emma Goldman in 1915 and became friends with the famous anarchist through whom she also met Alexander Berkman, Goldman's longtime comrade and lover. Inglis organized anarchist lectures in southeastern Michigan, began associations and friendships with many local radicals, and joined the Detroit chapter of the Industrial Workers of the World. In addition to her activism, Inglis used her financial means to generously support radical efforts ranging from strike funds to bail money for those imprisoned for expressing unpopular political viewpoints. With the onset of the United States involvement in World War I, Inglis stepped up her radical activities by participating frequently in demonstrations protesting conscription and the war. When the government cracked down on radicals demonstrating against the war in what became known as the first Red Scare, Inglis found her resources to be even more in demand. Along with tireless efforts in support of those facing deportation, she also posted bail for numerous individuals and contributed heavily to their defense funds. Her longtime support of radical causes eventually led her family to cut off her unlimited access to funds and gave her only a modest income on which to live. When the turmoil following the Red Scare died down, Inglis began her career in the Labadie Collection. As curator, Agnes developed idiosyncratic organizational techniques that nonetheless provided a useful structure to the collection. She began by dividing assorted materials into broad subject categories that resulted in a vertical file system still in use today. She had many journals bound, including Mother Earth, Regeneration , and Appeal to Reason , and compiled clippings and other ephemera into scrapbooks dealing with subjects on which there existed abundant documentation, such as Emma Goldman, Haymarket, the I.W.W., the Tom Mooney case, and Sacco and Vanzetti. In addition, she constructed a detailed card catalog (also still in use) that held item level cataloging on most materials in the collection as well as information lists of individuals and groups that functioned as a low level name authority file. Though her death left some mysteries about the arrangement of the materials in the collection, her organizational efforts restored contextual information to the materials and made them far more usable by researchers. There is no evidence that she either had or sought the assistance of trained librarians within the library system, consequently all this work was done on her own. Inglis succeeded in greatly increasing and broadening the holdings of the Labadie Collection. After a few years of organizing it, Agnes and Jo sent a letter to 400 radicals asking them to contribute their materials documenting events and people they knew. Though the letter received only a limited response, Inglis used it as a starting point to aggressively seek out individuals to donate materials. Among the most important collections she added were papers relating to Voltairine de Cleyre, a Michigan-born anarchist and friend of Emma Goldman's, and socialist writer John Francis Bray. 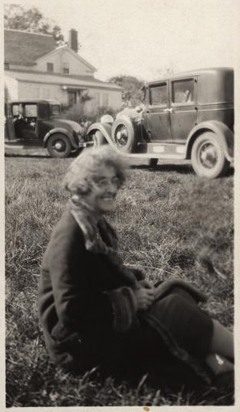 She used her extensive connections and correspondence with radicals of the period such as Goldman, Roger Baldwin, Elizabeth Gurley Flynn, and Ralph Chaplin, among many others, to persuade them to contribute relevant materials. Agnes also assisted many individuals in their research and publications including helping Goldman and Chaplin with their autobiographies, Henry David with the seminal The Haymarket Tragedy , and James J. Martin with Men Against the State . Inglis's career has historical significance for librarians concerned with issues of social justice for a number of reasons. Her story is inspiring from a political standpoint because once her political ideals were formed, she never betrayed them and she saw them as central to her work as a librarian. Her motivations came explicitly from her devotion to the ideals of the philosophy and history of anarchists and other leftist radicals with whom she labored for a better and more just world. Her political commitments often worked to the advantage of the collection, seen most explicitly in the use of her connections to acquire records from her comrades. Even recently, the Labadie Collection received a valuable set of papers from a woman who was still grateful to Agnes for bailing her father out of jail all the way back in 1917. She also put use of the collection as a top priority, even to the extreme of lending materials from the collection. When one of her borrowers damaged or did not return an item, her genteel and generous nature would never allow her to accuse them. She was pleased enough that people were interested in the materials. One note she wrote describing her loan of a book to an Italian anarchist who lived in the Twentieth Ward in Detroit in 1934 says "the Twentieth Ward sure is hard on a rare book!" Finally, her knowledge of the individuals and events of that history enabled her to effectively collect, arrange, describe, and provide access to the materials in the collection. Inglis once wrote to Emma Goldman, "It's no joke to take all that mass of material and fix it up so students can really use it. It is not a work everyone can do. One has to know the material. People don't appreciate that." (Inglis 1925) Agnes devoted the final third of her life to the Labadie Collection, until her death in 1952. Generations of scholars who have used the collection have appreciated the knowledge, skill and dedication Agnes Inglis brought to the cause of documenting the history of radical political movements in the United States and her contribution to that history is immeasurable. Inglis, Agnes (1924) Letter to Joseph Labadie, February 11th , Joseph Labadie Papers, Labadie Collection, University of Michigan, Ann Arbor. Inglis, Agnes (1925) Letter to Emma Goldman, March 19th , Emma Goldman Papers, Labadie Collection,University of Michigan, Ann Arbor. 1. For more information on the life of Labadie, see Carlotta Anderson's excellent new biography, All American Anarchist: Joseph A. Labadie and the Labor Movement (Detroit: Wayne State University Press) 1998.